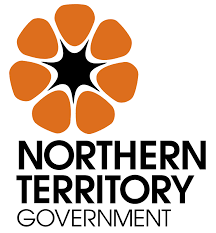 The Northern Territory Government’s Revenue Discussion paper submissions have come to a close. Prosper’s Submission focuses on supporting the NT Government in shifting towards a broad based Land Value Tax and further improving existing Royalty arrangements. The submission is briefly summarised below. The NT Government should phase out non-property related taxes (e.g. Insurance duties) and then stamp duties on capital equipment and Real estate. These should be replaced with a broad based land tax. Additionally First home owner grants and stamp duty discounts should be eliminated due to these feeding into higher prices. Land tax should be levied on the unimproved value of land, so that improvements are not penalised. The transition from stamp duties can be managed by either the credit of prior stamp duties paid against future land tax payments, or by the sale of securities. Tax rates should ideally be as flat and avoid thresholds. If progressive rates are levied, they should be done on the per m2 land value of individual sites, not an owner’s aggregate holdings. Minimum rates should not be imposed. Valuations should be undertaken annually. Land tax salience can be potentially reduced via local government collection, deferrals, and tax escrow. Where PPR exemptions are considered necessary, land taxes should still be considered given PPR exemptions do not make land tax inherently inferior to alternative tax options. The ACT’s “Lease Variation Charge” should be adopted to capture the windfall gains due to property zoning and development. Mining royalties rates should be raised from 20% up to 40%, State Direct Investment Mechanisms utilised, deductions tighten, minimum value based royalties introduced, and valuation mechanisms improved. Additionally the Government should consider alternative mechanisms for capturing resource rents, such as Harberger Taxes (Declared Value System) and Resource Extraction Leases. Rents for pastoral leases should be set by the market, but regulations relating to environmental sustainability should be done by regulation like how zoning is utilised in urban town planning. Licensing costs should be moved from cost recovery towards land rents. These taxes should focus on recouping the economic rent accruing to licenses holders, and capture as much of this rent as possible. Taxes on production should be reduced, not increased or new ones introduce. This challenge presents an opportunity for the Territory to create a more efficient, equitable, sustainable and independent revenue framework. Ambitious tax reforms will enhance the resilience and future prosperity of the Territory.